Hast du persönliche, familiäre, schulische, gesundheitiche Probleme? Hast du Probleme mit Behörden? Möchtest Du andere Frauen treffen? Möchtest Du neue Freizeitaktivitäten ausprobieren? Dann komme zu uns, wir stärken Dich! 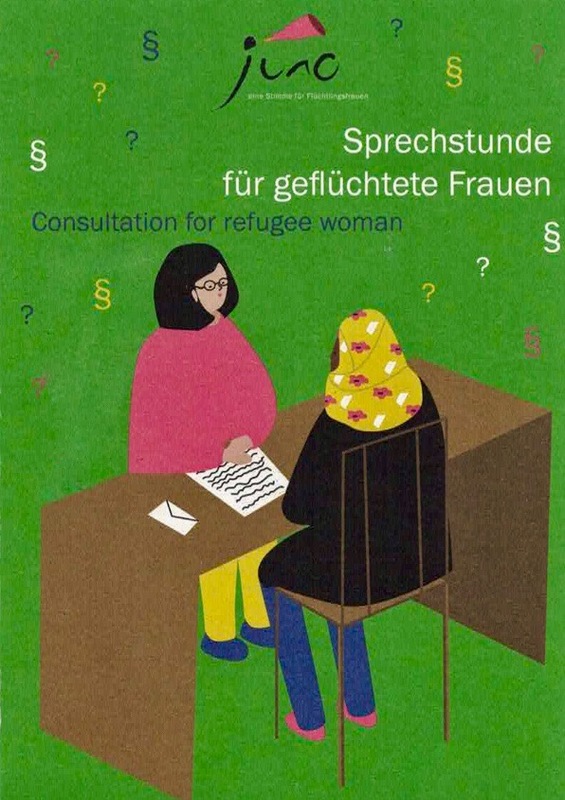 Free consultation for refugee women: Are you facing personal or health problems? Are you having problems with an agency or school? You are feeling alone and want to meet other women? You want to know more about your rights? You need help with family problems? Then come and talk with us, we are going to help you!